Gift cards are hugely popular. 90% of American consumers receive or purchase a gift card each year – and the vast majority of these individuals give or receive more than one gift card. Gift cards are so popular that the market has swelled dramatically in recent years. In 2012, the gift card market was valued at only $110 billion – just 4 years later, in 2016, the gift card market cap was valued at $167 billion. So why are gift cards so popular? Well, they’re convenient, flexible, and appropriate for almost any occasion. And while, in the past, there was sometimes a bit of a negative stigma to giving away a gift card, that has mostly dissipated – almost everyone loves receiving a great gift card! And it’s not just consumers who love gift cards. Retailers and restaurants love gift cards, too! The advantages of gift cards are just too large to ignore – they’re great marketing tools, they provide fantastic return-on-investment, (ROI) and provide consumers with an easy way to support their stores or restaurants. However, there are still some businesses who haven’t made full use of small businesses. Independent restaurants – and especially food trucks – have generally not been able to take advantage of the numerous benefits that gift cards offer. Whether because of pricing issues, personal preferences, or just ignorance about the many benefits of gift cards, most food truck owners are not taking advantage of these modern, flexible forms of payment – and their businesses are missing out on increased profits, higher market awareness, and dozens of other benefits. Not convinced that your food truck business could benefit from a smart gift card program? Let’s take a deep dive into the world of gift cards, and discuss the top 7 reasons that gift card programs are perfect for food trucks. Most food trucks are run on a shoestring budget. It’s often hard to find the money to advertise a food truck beyond plastering a few flyers on bulletin boards, posting about your daily location online, and maybe having a few e-mail blasts sent out to customers. The problem? Advertising is expensive – and even though advertising always pays off in the end by creating a larger customer base, many small businesses cannot afford the large upfront costs required to advertise either physically or digitally. Most food trucks do fine, despite this issue – the food speaks for itself – but there is always an opportunity to capitalize on a larger market. A great solution for this? Gift cards! Think about it – every time a customer opens their wallet, your gift card is there! They will see it, their friends will see it, and they’ll think about coming to your food truck! And if they do, they’re likely to bring friends, family, or coworkers along – and this can have a positive effect on sales, and overall market penetration. Gift cards also offer customers a fantastic way to share their favorite food truck with others. We’re all creatures of habit – and unless we’re pushed, we don’t really try new things. A gift card is a great way for a loyal customer to get a friend or family member to try your food truck – and if they’re impressed with the food and the service, they’re likely to come back again and again! Gift cards also help keep your business at the forefront of a customer’s mind when they’re making a decision about where to go for lunch. This is important because of the mobile nature of food trucks. Because your truck isn’t always in the same place, it can be harder for a customer to form a habit of going to your business for a meal – a gift card is a timely reminder that lets them check the location of your truck for the day, and make their plans! There are quite a few food trucks out there that don’t take credit cards. This allows them to operate more effectively – and eliminates the need for internet connectivity and card processing equipment – but can also displease some customers who prefer to use credit and debit cards for most of their transactions. We understand why some food truck owners don’t like credit cards – processing fees can be steep for a small business – but most people expect to be able to use their cards at businesses of any size, and these customers shouldn’t be ignored. Gift cards offer a great middle ground for customers who don’t like to carry cash, and the processing fees and costs of gift cards are lower than those of credit and debit cards – meaning that business owners will see more in profits. In addition, implementing a gift card program gives food trucks the perfect opportunity to start accepting credit and debit cards. Most modern POS terminals can be used to accept all magnetic-stripe cards including gift cards – and the enhanced sales provided by gift cards can help defray the operating costs of a more expensive payment processing company. Gift cards may seem like they’re just “the same as cash” – but psychologically, they’re completely different. When they’re given a gift card, people don’t mind spending the balance – because, in their mind, it’s already been “spent”! Instead of scrimping and saving like they might when given a cash gift, your customers are likely to spend the entire value of their gift card quickly – meaning more business for you! Because of this, your customers will likely visit your food truck much more often when they have a gift card in their wallet. They’ll look at it and be reminded of your food (and that they have, essentially, a voucher for a free meal!) and they’ll be more likely to come to your food truck. Consistent, steady revenue streams can be tough to achieve for a small business – especially a food truck. The costs of operation, ingredients, and other costs can add up quickly, and inconsistent business (due to bad weather, poor location, and other issues) is always a concern, and a few bad days can have a seriously negative effect on your cash flow. Gift cards can offer your business a fantastic way to get a steady stream of revenue that can help buoy your business against bad days – or weeks. This isn’t because gift cards are magic – but because you get the revenue from each gift cards as soon as you sell it, you will be paid for its value immediately. This is not free money, of course – the gift card will be redeemed by a customer eventually – but because you get paid before you sell to the customer, gift cards can be a seriously great way to boost your revenue, and help your food truck stay profitable. Food trucks are, by default, a very “hyperlocal” business. Almost all food trucks operate in a very small area – usually independently – and they are not supported by large organizations, or franchised. Because of this, it’s extremely important that your food truck truly connects with the people who live in your community. If your business manages to become popular with the local residents, and you have a positive image in the community, this can go a long way toward driving sales and growth. This is yet another reason why gift cards are so helpful. Whether you’ve been embraced by your local community or are looking to further your ties with the local residents, gift cards are a fantastic way to “give back” and help the community that supports you. If your food truck has a gift card program, you can connect with community charities, organizers, nonprofits, or even local governments to learn about opportunities you may have to give away gift cards. Large public festivals, silent auctions, fundraisers, raffles – all of these opportunities are fantastic for food truck owners who have gift card programs. By donating gift cards, you don’t just help local communities and nonprofits – you help your own business. These charitable donations help provide your business with a better image in the community (not to mention, a tax write-off), and can even drive business to your food truck. People may become curious about your business after seeing your gift cards at a charitable event, and they will be tempted to see what all the fuss is about! Loyalty programs are a fantastic way to provide your most loyal customers with additional benefits, special offers, and rewards. Many food trucks already incorporate basic loyalty programs such as stamp/punch cards – “Buy 10 meals, get 1 free” cards – but gift cards offer you a fantastic opportunity to bring your loyalty program into the 21st century. Gift cards offer a number of different opportunities for food trucks that already use reward programs. You can send out emails linking to gift card giveaways, discounted gift cards, or other special offers. You can also integrate gift cards directly into a “points-based” reward program. If a customer spends $100 in a month, they could qualify for a $10 gift card! 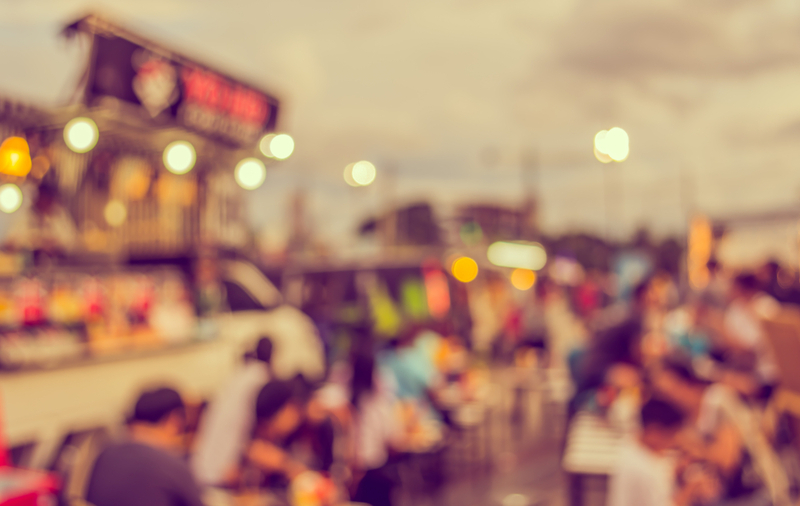 By utilizing the power of gift cards alongside the power of a great customer loyalty program, your food truck is sure to build a loyal, dedicated consumer base. Admittedly, traditional gift card programs can be a bit difficult to use. Larger gift card providers sometimes require specialized POS systems and have other restrictions that can make their programs clunky and awkward to implement. However, we live in the world of startups – and if the cost of a traditional gift card program is too steep for your food truck, you’ve got plenty of options! The most recent entrant in the food truck gift card market is Square. Square has long been an innovator in the world of mobile payments – introducing the first iPhone-based card reader way back in 2009. They’ve quickly become one of the go-to payment processing companies for small businesses – and they’ve entered the world of food truck gift cards! Their new gift card program is all-digital, and offers an incredibly simple way to sell gift cards. Any merchant with an Android or iOS device that accepts Square Wallet can sell gift cards to their customers – the gift card recipient just needs an e-mail address! These fully-digital gift cards can be customized by merchants, and can be used by either pulling up the e-mail on a smartphone, or by printing out a QR code and handing it over to the merchant. Because these gift cards are already integrated into Square-enabled devices, they’re a great way for food truck owners to dip their toes into the gift card market – and see if investing in a physical, card-based gift card system is the right choice for their business. Need To Sell Some Unwanted Gift Cards? Come To EJ Gift Cards Now! While gift cards offer a variety of benefits for small business owners, they’re not always useful. We’re sure that you’ve gotten a gift card to a store you don’t like, or a restaurant you don’t enjoy – it happens! Well, there’s an easy way you can get rid of those old, unwanted gift cards – and make some quick cash in the process. EJ Gift Cards is the #1 direct gift card buyer in the world. We purchase hundreds of unwanted gift cards, and we pay out over PayPal. No waiting for a paper check in the mail! We also offer fantastic customer service! So don’t just trust anyone if you need to turn some unwanted gift cards into cold, hard cash. Trust EJ Gift Cards!